What better way to welcome in the New Year than with up to 20% off our most popular products?! Cardboard Boxes, Bubble Wrap, Stretch Film, Edge Protection, and more of our lines are on offer. Also included in this offer is our NEW range of coloured postal boxes! To receive access to these great offers, sign up to our Discount Club today! To add to our popular range of high quality Quick Seal Postal Boxes, we have launched two new products; Pink Postal Boxes, and Black Postal Boxes. This Christmas, we're going green! Check out our infographic for our top tips to Go Green this Christmas! Don’t miss out on your chance to save £25 on your next order of bespoke cardboard boxes. Our latest monthly offer ends Friday! 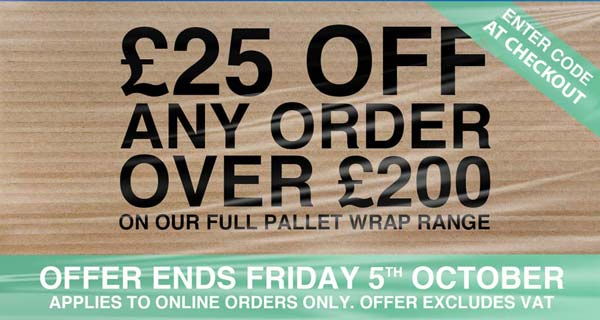 This month, save £25 on your next order of pallet wrap or strapping (orders over £200). Join our Discount Club and keep an eye on your inbox for your exclusive discount code. Then, visit our pallet wrap and strapping page to make your purchase. This offer is also valid on our range of time saving automatic and semi-automatic strapping machines. But be quick, as this offer ends Friday, 5th October 2018. We've got some great seasonal offers this year, including our traditional Black Friday sale in November. For more great offers and discounts, sign up to our Discount Club by entering your email address on the home page. 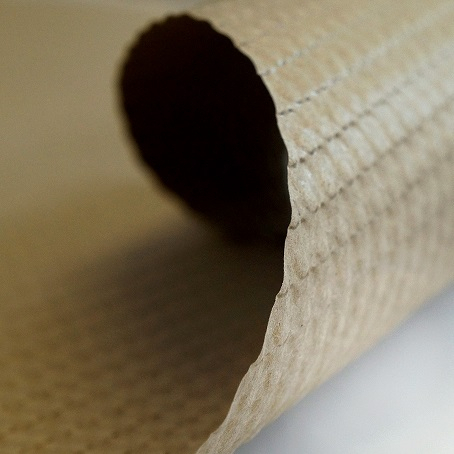 Ukpackaging.com has introduced globular embossed paper to its range of eco-friendly packaging, an effective alternative to plastic cushioning protection products such as bubble wrap. The new product is made from 100% recycled straw paper is completely recyclable. The embossed bubble pattern makes it a great option for packaging up pottery, glass and delicate items in transit. There are two roll widths available from stock but other roll sizes or flat sheet are available on request. Please speak to our Sales Team for further assistance, samples or bespoke pricing. Here at Ukpackaging, we’re happy to help customers find innovative ways of reducing waste. For example, plastic bubble wrap is available as a biodegradable alternative. We can also provide advice on effective paper based alternatives to plastic products where required. Call the Sales Team on 0845 8800355. Find out more about globular embossed paper.